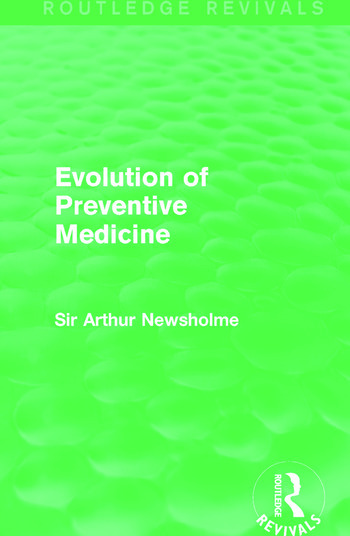 First published in 1927, this book provides a complete study of the beginnings and early development of preventive medicine. It looks at the subject’s underlying principles and discusses the prominent writers of the past. Topics cover infection, plague, science and medicine, poverty and preventive medicine and the prevention of cholera, amongst others.